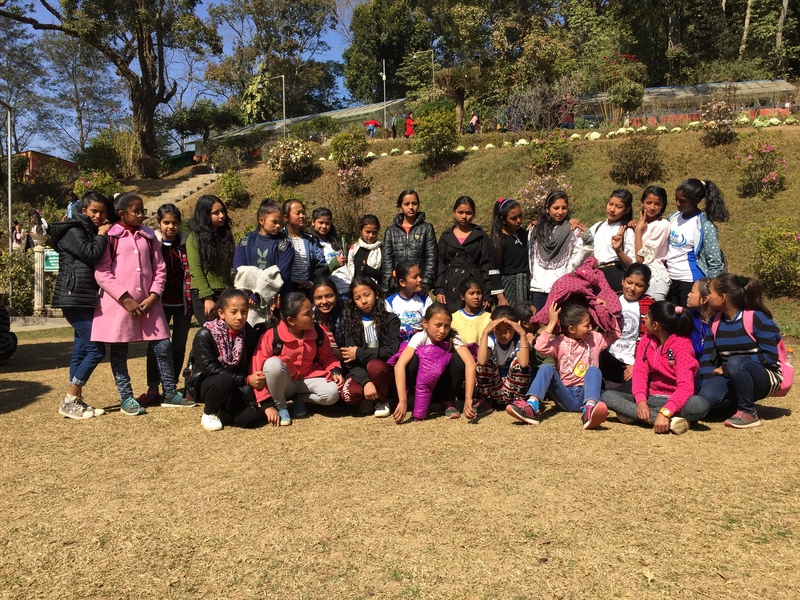 Girls In Action Season-4 organized a short trip to National Botanical Garden situated in the south-east of Kathmandu valley. The garden is enriched with endangered, rare and common species of plants for different purposes like scientific investigation, educational information, research, conservation and many more. Our purpose of the visit was to provide an opportunity for learning through educational exposure, get close to nature and of course, have fun. We believe we achieved every mentioned objective. We had 28 girls on the team and it was everyone’s first-time visit to the garden where they all looked curious, happy and excited surrounded with immense beauty. Moreover, games(skipping rope, frisbee etc) added an extra flavor to their outing memories. Thanks to Himalaya School for providing the transportation at a reasonable cost, Smriti Katwal for helping us manage the program and all the girls leader for leading the respective groups. We would like to express our gratitude to everyone who has been supporting us.